rement, re-ment, miniatures, all, kodawari, my room style, furniture, european, red chair, lamp, magazine rack, bin, trash can, mugs, magazines, coffee table. Here is #4-2 from the Re-ment (rement): "My Room Style (Kodawari Room)" series. This is version 2 of #4. In this version the pieces are the same but the color is different for some pieces. The chair is red, the top part of the lamp is blue and the brown of the table top is slightly darker. 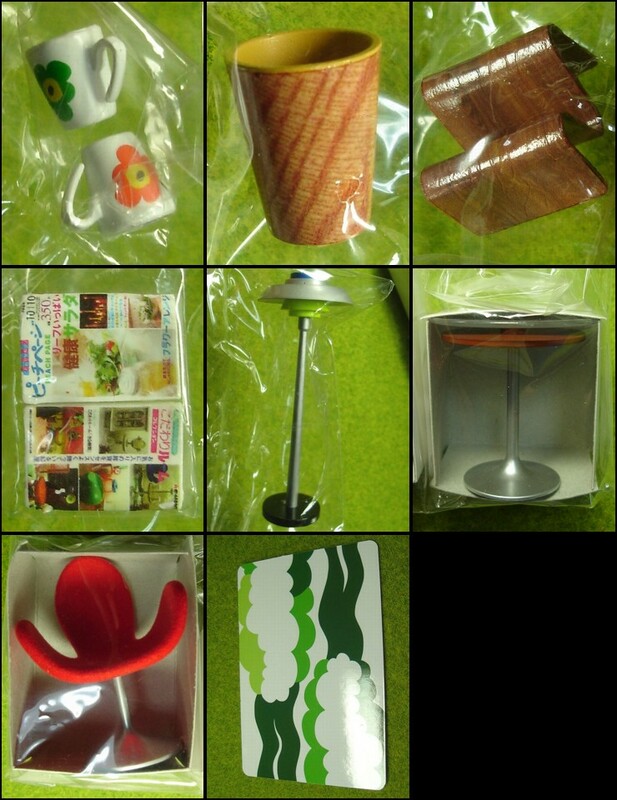 Keywords: rement, re-ment, miniatures, all, kodawari, my room style, furniture, european, red chair, lamp, magazine rack, bin, trash can, mugs, magazines, coffee table.